As the fluffy, feel-good summit declarations are made and the tenor and tone of the end of the Korean Armistice are discussed, I can't help but harken back to 2000 and the summit back then. Provocations were supposed to end then (too). So we will see how this works out. Openness between the two Koreas can only go so far. People from the North who visit the South, will NEVER want to go back home. President Trump is taking the right approach. President Moon looks a bit like everyone's lap dog. The time of year is at hand when the North Korean special forces recruits do their graduation missions by infiltrating into South Korea. Don't be shocked. The Russians (primarily GRU/Spetsnaz) used to do the same thing in the USA. Colonel Blazhko Anatoliy Andreevich (Current Commander of Special Action forces in Russia) and his predecessor, Colonel Sidorov Gennadiy Konstantinovich made their runs through the US in their day as well. The so-called red-route began in Mexico. The Spetsnaz people would be dumped off at the airport in Mexico City and they'd have to make their way up through Mexico, cross the US-Mexico Border illegally without being apprehended (then as now some of the fence can be stepped over rather than climbed), and exifil the US after having crossed the country, in New York City. As often as not, they hitchhiked. There wasn't anything that the US was willing to do about it when they were in the US, but there were unscrupulous people in the US Navy who would cross the border, team up with MEXGOV officials and apprehend and interrogate them ex-officio in Northern Mexico. I wonder what Colonel Andreevich thinks of those days now that he's safely ensconced in his office at 76 Khoroshyovskoe shosse, Khodinka, Moscow? It wasn't as fun when he had a filthy rag stuffed into his mouth with tehuacan mineral water being poured into his nose and sinuses in the police station in Tijuana. Of course, it all went to the young men's training program. They returned to the then USSR with an appreciation of Mexican justice - and hitchhiked their way across the US. The Nork Special Forces will still run their infiltration routes, and it will be business as usual for them as they train for wartime missions. It's not bad training, when you think about it. 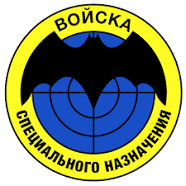 The halcyon days of the 80's are past as are the US SEAL operators who used to team up with Judicial de Estado (State Judicial Police), the Mexican Army (SEDENA - Secretary of Defense National) and the Tijuana Police to screw with the Russians in their off hours. Finding the Russians was half the fun. And while the Russians were booked into the Tijuana jail - they didn't carry ID - that was part of their training profile, the Mexicans and their friends from America would head out on the town for tacos and beer. Oh, don't worry about the precious Russians. After living in the roach and rat infested cells - similar to a Spetsnaz barracks, they were released. It was just something else for them to write up in their after-action report.